Outcast is now in production on season 2 and there is a casting call out for talent. “Outcast” is filming in the SC area and looking to cast some locals to work as paid background extras on the show. Robert Kirkman, the man behind “The Walking Dead” is the executive producer of “Outcast“, a supernatural themed drama series that follows a man that is possessed by demons and feels he has been possessed since since he was just a boy. His search for answers and redemption leads him into a relationship with Reverend Anderson, a West Virginia evangelist who is fighting a good fight against what he believes is evil in this world. “Outcast”stars Patrick Fugit (Almost Famous, Gone Girl), Gabriel Bateman, Erin Beute, Brent Spiner (Independence Day, Star Trek: The Next Generation) and Cameron Blackwelder. 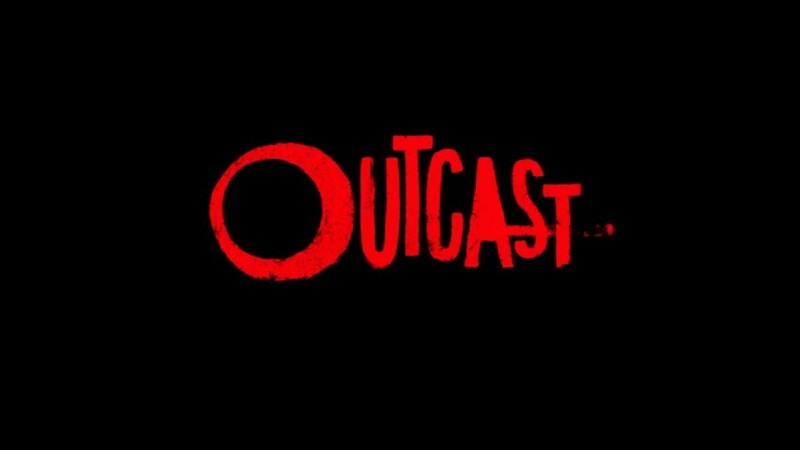 “Outcast” centers on a man named Kyle Barnes who has been experiencing some sort of demonic possession since he was young. However, it’s not just him involved in the supernatural occurrence, the town he lives in, Rome, West Virginia has quite a few cases that seem to suffer the same symptoms and may be cases of demonic possession as well. Kyle, along with reverend Anderson, played by Philip Glenister, try to get to the bottom of the situation and begin investigating the alleged cases. The show is described as a horror series and airs on Cinemax / FOX. “Outcast” is based on a comic series of the same name created by “Walking Dead’s” Robert Kirkman and Paul Azaceta. OUTCAST -Seeking those with interesting character faces that could portray rural mountain (“backwoods”) types for barn church scene. We will also need 5 kids for this scene as well. Filming date for this scene is Thursday August 4th (NEXT week). Please do not submit for this request if you would not be 100% available day and night for this scene. If you have a an older or battered car or truck…even better as some of those selected must have such. Make sure you include a photo of the vehicle in your submission as well. These 20 Adults and 5 Kids will be photo selected by our Director for filming. For look and reference feel -This is the same look request given to us when casting the Hunger Games Reaping /Hob/ and Coal Miner Extras. If interested in submitting for this scene, please send us a current photo (probably a less glamorous photo would work best for this scene). Also include your Name, Phone, Age, Height/Weight, Clothing Sizes, Vehicle information -Color/Make/Model/Year, City/State you reside. Submissions should be sent to us at outcastseason2@gmail.com with heading 8/4 BARN FOLKS. Seeking actual RN’s (REAL NURSES -Female as well as Male Nurses) for filming this Season. Need several on Friday 8/5 (NEXT week). Will also bending a few different Nurses for a day in our next episode. If you are an experienced Nurse and interested in being considered for filming this season, please let us know ASAP. Make sure you include your medical experience in your submission. REMINDER -OUTCAST films in Rock Hill, York, Chester and the surrounding areas. Anyone submitting for filming must be available to work as local hire in these areas. 2 CURRENT Photos -One being full length and one close up. They must reflect your current hair color, hair length and body frame. Also included should be your Name, Age, Cell Phone #, Height/Weight, Complete Clothing Sizes, City/State you reside, your availability and any set or stand in experience you may have. Submissions should be sent with heading as listed above to outcastseason2@gmail.com with heading REAL NURSE. Seeking Extras with CARS & TRUCKS from the 70’s & 80’s in GOOD Condition. These vehicles will be needed for a flashback scene and should look the period and not as old or damaged vehicles. Please note this is a different/ separate request for older vehicles than the previous request seeking older vehicles with dents,dings and showing their age. Please include a photo of yourself as well as a photo of the vehicle. Vehicle’s information -Year/Make/Model/Color should also be included in the submission. They must reflect your current hair color, hair length and body frame. For Females – Measurements (Chest/Waist/Hips), Dress Size, Shirt Size, Pants Size, Shoe Size. Failure to include ALL information requested (in ONE email and not several) may cause your submission processing to be delayed or deleted. OUTCAST SEASON 2 – Episode 1 -Several Extras request that will be photo selected by Director. Please take note of the tentative filming dates per request. If not 100% available on the date listed, please do not submit for that request. KYLE’S FATHER (Flashback) -Caucasian Male, Late 20’s -30’s. Still sporting 80’s hair a bonus as this is a flashback scene. Tentative filming date Wed. 7/27. Submit with heading Poss. Father, Age, City/State you reside. DINER CUSTOMER -Still have 80’s Hair? This is a flashback scene. Can be Male or Female, 20’s -70’s. Any Ethnicity. Tentative filming date Wed. 7/27. Submission heading should be DINER, Age, Race, Gender, City/State you reside. MIDDLE AGE COUPLE/SHOPPERS -Seeking a Middle aged Male & Female (30’s -50’s) to portray a shopping couple (modern day). Tentative filming date Thurs. 7/28. Submission heading should be Age, Race, Gender, City/State you reside. Example -47, Hispanic Female, Rock Hill, SC. 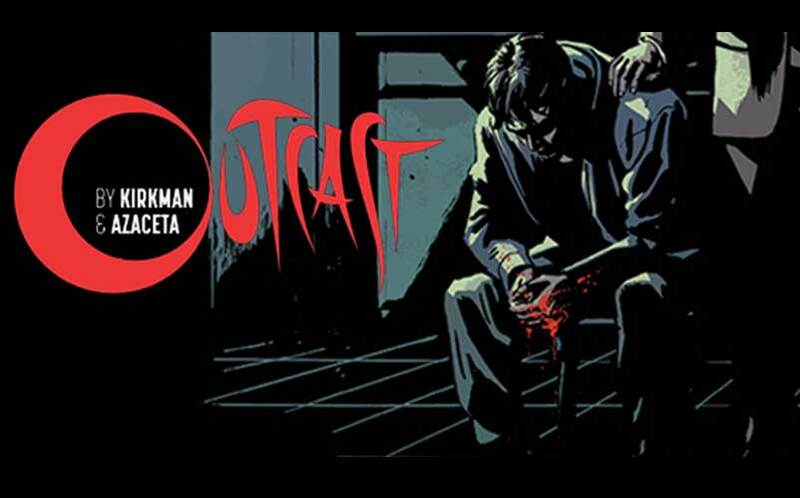 From the Creator of The Walking Dead, Robert Kirkman’s Outcast is based on the Skybound/Image comic produced for CINEMAX by FOX International Studios (FIS).